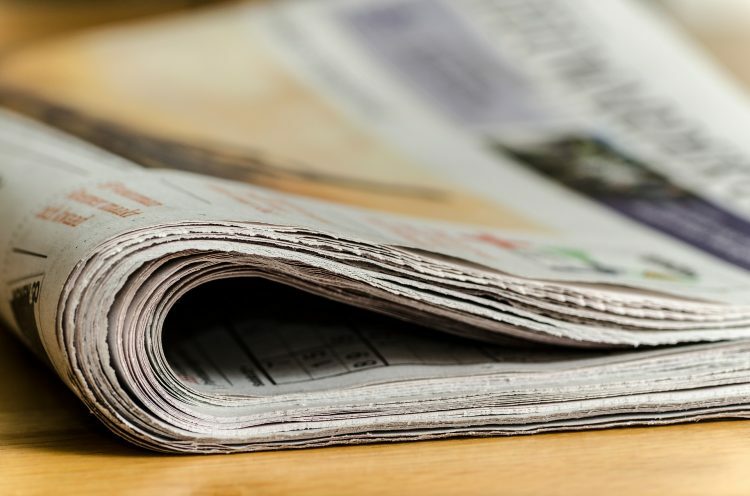 Writing an article under your byline for a daily newspaper or a business, legal or industry publication can be an effective way to showcase your expertise and interest in a particular topic. Among clients, potential clients and referral sources, you earn inherent credibility when a media outlet publishes your insights and valuable advice. Many lawyers also find that a bylined article is a safer and more controllable environment to discuss legal and industry topics compared to serving as a source for a reporter interview. But developing and writing an article can be unnecessarily time-consuming or frustrating without some thoughtful research and planning. All too often, an attorney will spend a significant amount of effort writing an article with every expectation that it will find a home while never considering what that home looks like and who lives there. Much like shopping for a new place to live, successfully placing an article is a process that should involve several steps before you visit the title company. First, consider your target audience, and what they need to know and understand. So what would you tell your clients about important issues that may affect their businesses? What legislation or recent court decisions should they be aware of today? Readers of an article that focuses on a legal issue typically want to learn something that will help them improve their business, solve their problems or stay out of trouble. They may be interested in an opinion from a different perspective, or one that confirms their own beliefs. But regardless of the angle, remember that your article should be about the readers and their needs, not about your knowledge or qualifications. Once your audience is defined, it’s time to identify one or more media outlets that your targeted group reads or visits on a regular basis. If there are publications that focus on the industry or type of law you practice, then those should be familiar to you and your clients already. But if in doubt, ask. Next, determine if the publications that matter most to your audience even accept articles from outside sources. Some may only use staff-written articles, while others are open and receptive to outside contributors. Some may even post detailed guidelines about the submission process on their websites. Many outlets also publish calendars with information on topics of editorial focus in upcoming issues. Checking those editorial calendars will allow you to determine if your topic is aligned with the publication’s plans, while enabling you to better plan when to approach an editor with a proposed topic or completed article. It’s also important to be realistic when targeting a publication. An editor at a major daily newspaper may get hundreds of articles and proposals every day, while an industry publication with a narrow audience may get relatively few – and a placement in a small trade journal actually may be more valuable from a business development standpoint. Building a portfolio of articles also will showcase your writing abilities and credibility with other publications that may have greater influence or circulation among your targeted audience. Regardless of whether editorial calendar information is readily available, it’s critical to read several issues of the publication to get a better sense of the type of outside content that might be accepted. Look at the tone, formatting, length and style of those bylined articles. Just as there’s no reason to prepare a heavily footnoted 2,500-word article if the publication’s limit is 750 words with no footnotes, proposing an article on a topic that’s already been covered signals to the editor that you’re not serious and informed. Becoming familiar with your targeted publications should provide a clear picture of the type of articles that are accepted by the editors and expected by the readership. Most often, there is a need for a service-oriented piece that describes an industry trend, or one that follows-up on a news story about a court decision or new regulation with a discussion about how those developments affect that particular audience and how those firms and their clients might respond. Before moving forward, it also may be helpful to contact the appropriate editor and determine if there is interest or encouragement in accepting the proposed article. That proposal should concisely describe the topic and its importance to readers, as well as the author’s qualifications and any specific date that might be most suitable for publication based on the editorial calendar. Not only will this avoid wasting time if the article is rejected, the editor may provide some valuable guidance on the angle or breadth of the article, in addition to other submission details that enhance your chances of placement. If your proposal is accepted, you’ll likely be given more information and tips to match your writing style with that of the publication. You’ll also be given that most important detail – the deadline. From the editor’s perspective, there is usually no margin for error in meeting a deadline even if the publication builds in time for editing, approvals or peer review. Remember that by committing to writing an article you’re establishing a relationship with the publication and may gain an opportunity for further submissions. That is why it is so important to respect the editor’s requests and treat deadlines seriously. Most publications require a signed agreement specifying the use of the article and rights of the author, while allowing and encouraging articles to be repurposed in a variety of ways: posting or linking on the law firm’s website; distribution to key audiences through email or electronic newsletters; and reprints for direct mail, conferences and other meetings. Take advantage of the multiple methods available to you and your firm to broaden awareness of the topic and your expertise, which is just another opportunity to share valuable information through the power of a bylined article.